Or scroll down to learn about the History of Typeface. Traditionally defined as the art of process of setting, arranging, and designing type. It is the glue that holds a design together, control emotions, tells stories not just with words but with design and style of the type. ​(political, social, academic, artistic, etc). Type evolved from one-of-a-kind handwritten scripts to printed technologies - this changed the nature of written communication so much that the term "typography" was coined to describe it. Current digital typographic innovations continue to push the boundaries of type use in design. Typographic quality is based on reproducibility. Type has evolved from one-of-a-kind handwritten scripts to printed technologies; its evolution is influenced by technological advances and culture (political, social, academic, artistic, etc). Looking far back in our history beginning as early as 38,000 BCE we can see the start of visual communicative markings in caves, on stone tablets, on papyrus and papers, through digital means. Book scribe creating a copy of a book. 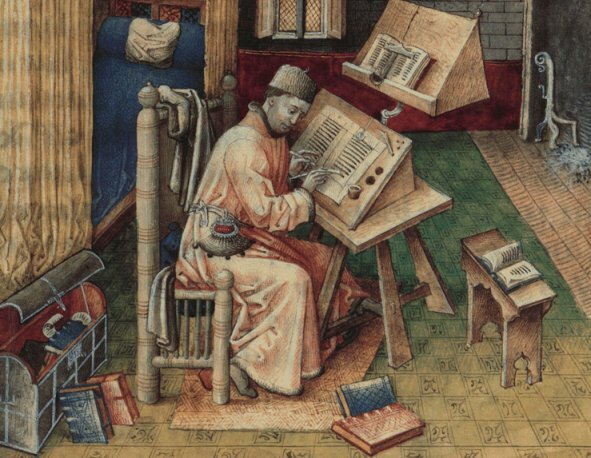 In the beginning scribes would make manual copies of original texts. This process of reproduction was very time intensive and errors could occur. Early movable type began around 1040 CE (Song Dynasty) porcelain-like movable type had been used by Bi Sheng. Two-hundred years later during the Goryeo Dynasty in Korea that the first metal moveable type printing system was developed. This led to the Jikji, the earliest known movable metal type printed book in 1377. Neither of these caught on because of the enormous amount of labor involved in producing the letterforms - block printing remained the primary production method. 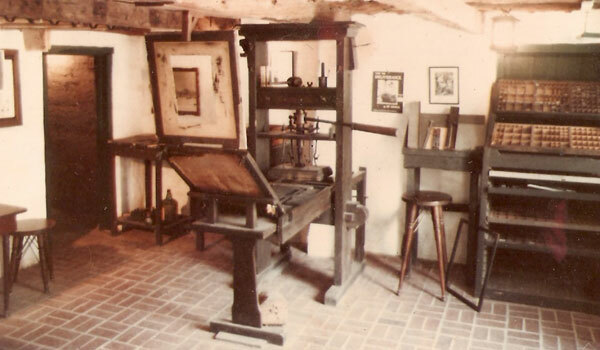 Started the printing revolution in Europe. Credited with the invention of mechanical, movable type made from metal and the printing press - see a press in action; short version. 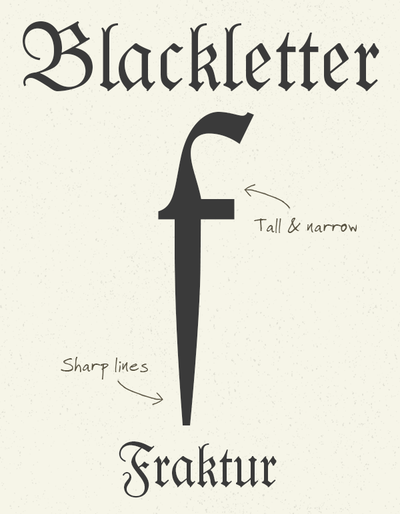 ​Created the first typeface - Blackletter (Fraktur) which was dark, fairly practical and intense but not very legible. Movable type is a relief printing technique that lowered the cost of reproducing print, made printed materials more available to the masses. 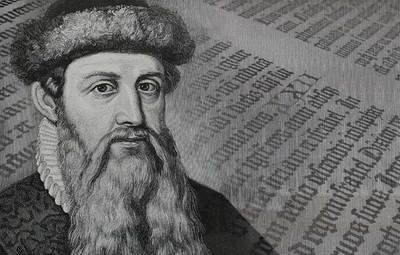 His 42-line Bible became the first book printed in Europe using movable type technology. Created Roman Type which was inspired by the text on ancient Roman buildings; based on straight lines and regular curves. Important figure in the early history of printing and a pivotal force in the emergence of Venice as one of the first great centers of the printing press. 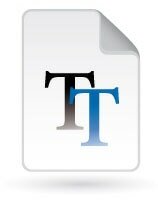 Created italics and designed many fonts; italics was originally created to fit more words per page and save money on printing. He possessed a passion for learning, founded the Aldine Academy of Hellenic Scholars. invented the concept of pocket / portable books. Old Style were created between the late 15th century and mid 18th century. 2nd Industrial Revolution - advertising created a need for new type. 1734, William Caslon (English) create Garamond; it has straighter serifs and more obvious contrast between thin and bold strokes. With his father, they produced the first English book of type specimens. 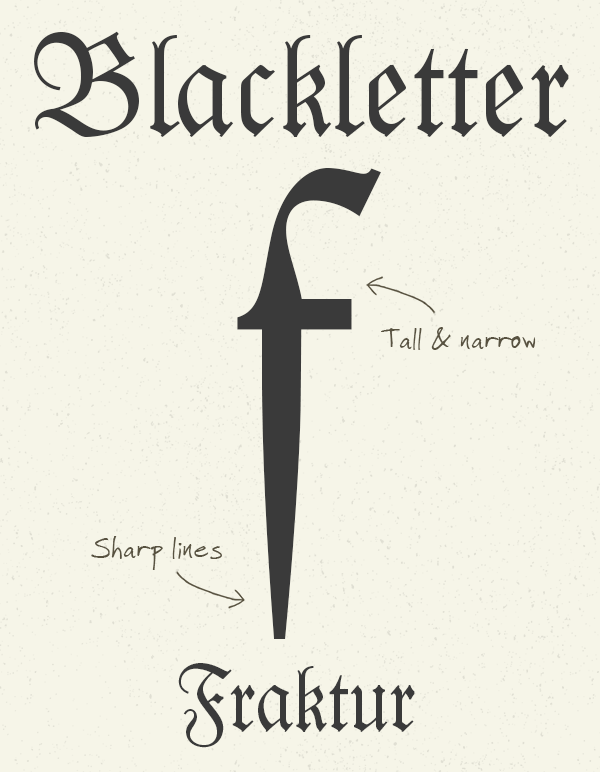 Created Bakerville a Transitional Type; it is a Roman style type with very sharp serifs and a great deal of contrast between thick and thin lines. Letters: fairly wide and rounded letters are a bit squared off. Designer of the first Sans Serif typeface: type without any serifs at all. It was widely rebuked at the time. During this time, type exploded, and many, many variations were being created to accommodate advertising. Avoided any non-essential elements, making use of basic geometric proportions with no serifs or frills. Futura's crisp, clean forms reflect the appearance of efficiency and forwardness even today. Created Gill Sans, Humanist Sans. Based off of geometric sans but with gentler, more natural curves. The world’s first full time type designer, developing numerous groundbreaking typefaces, such as Copperplate Gothic, Kennerly, and Goudy Old Style. Created Helvetica, the most well-known typeface of our time. This was a return to minimalism, and many other simplistic typefaces such as Futura surfaced around this time period. Filmmaker Gary Hustwit explores the proliferation of the typeface and how it affects our lives in his movie entitled Helvetica; see the trailer on YouTube. Derived from 17th century formal writing styles. Many characters have strokes that join them to other letters. These scripts mimic calligraphic writing. Both connecting or non-connecting in design. Many appear to have been written with a flat-tipped writing instrument. 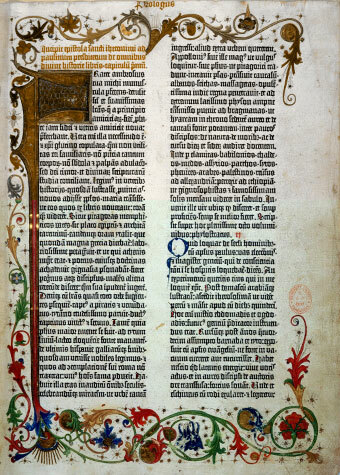 Patterned on manuscript lettering prior to the invention of movable type. Appear to be drawn with a brush. Examples: ITC Aftershock, ITC Airstream, Mo Funky Fresh, WacWakOoops! Enter the computer age where the possibilities are endless! Uses mathematical calculations to describe type rather than pixels. 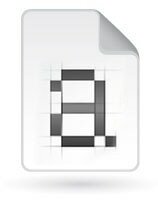 Apple create a PostScript controller for the Apple LaserWriter. This printer was similar to the HP LaserJet but the PostScript controller would allow it to output ‘typesetter quality’ pages. Not as clean and reliable as postscript but allowed for font design to explode! 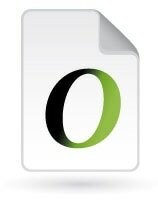 OpenType font file developed jointly by Adobe and Microsoft in the late 1990's. 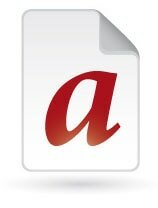 Cross-platform compatible and supports widely expanded character sets and layout features.